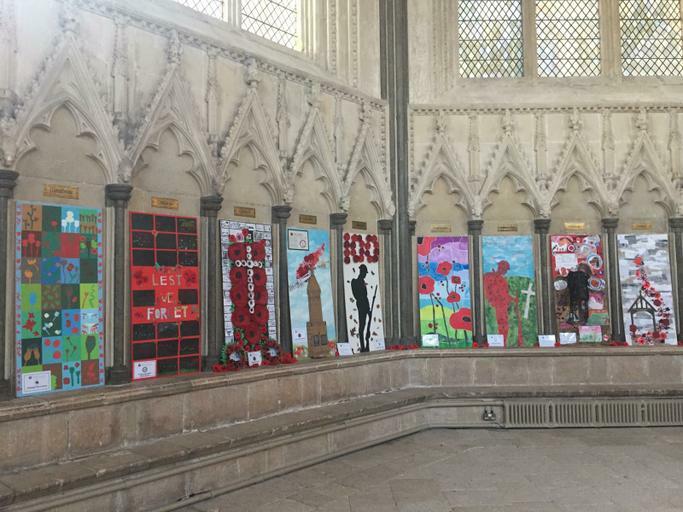 Alongside other schools in the Bath and Wells Multi Academy Trust we created a board to commemorate the 100th anniversary of the end of the first world war. It formed part of a very poignant display in Wells Cathedral Chapter House. We also created poppies with other local schools to form an amazing display of 1000s of flowers in the grounds of the Bishop's Palace.